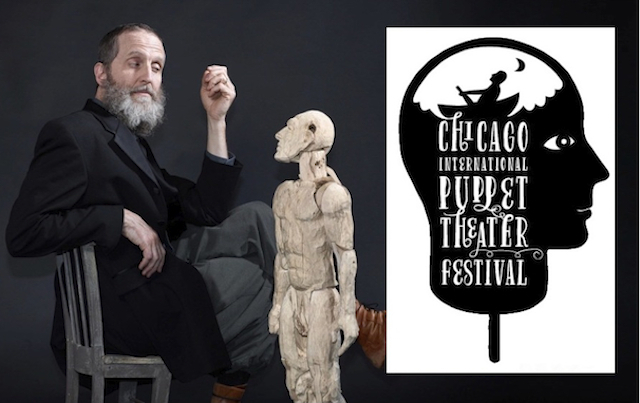 The 12-day city wide Chicago International Puppet Theater Festival showcases an entertaining and eclectic array of puppet styles from around the world… including marionettes, shadow puppets, Bunraku puppets, tiny toy puppets, and distinctive, innovative styles of contemporary puppetry. Why Chicago? Before 1912, the term “Puppeteer” did not exist in the English language. Ellen van Volkenburg, who was a director with the Chicago Little Theatre at the Fine Arts Building on Michigan Avenue, needed a program credit for the actors she had trained to manipulate marionettes while speaking the text of of a Shakespeare play. Chicago is also unique in that has a substantial local theater audience that not only attends performances, but supports innovative and new theater. Puppetry is active in American theater today, frequently employed in musicals and dramas as a sign of the renaissance for the art of puppetry. Additionally, it gives an opportunity to experience the surreal nature of puppetry, in many forms of narrative and the avant-garde. When I attended “Tedium” and “Other Sensations” at the northside’s famous Neo-Futurists Theatre, the audience was transfixed by a presentation of sound and object fetishism, mesmerizing and indicting at the same time. In this time of year when the atmosphere can be cold and bleak, this festival is the cure for those winter blues. The Chicago International Puppet Theater Festival runs through January 27th, 2019. For specific ticket and schedule information, click here.